99% Accuracy Rate between our Calculation and the Assessment from SARS! Book Now by Sending your Full Names and Surname, Identity Number, Income Tax Reference Number, Postal Address and your contact Telephone number (Office and After Hours) to our Fax number 012 654 0867 or use our automated enquiry facility. YOU CAN ONLY SAVE – YOU CAN'T LOSE ANYTHING! 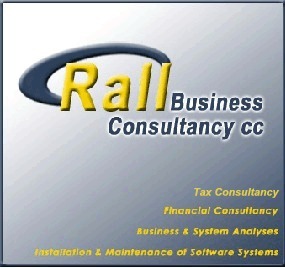 All individual taxation services will be rendered by SATaxHelp while all other business services will be handled by Rall Business Consultancy. We offer the following Tax Consulting Services.